JMG Headline Anywhere makes an instance of your article title and puts it in any other module position. You get more creative possibilities. It’s very easy to install, and easy to use for anybody. 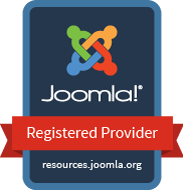 If you use our module, please post a rating and a review at the Joomla! Extensions Directory. I´m using JMG Headline Anywhere. Very nice Modul. It is the most user friendly at backend and frontend also.